MICHAEL A. VENTRELLA: I am pleased to be interviewing Mur Lafferty, who just recently won the John W. Campbell award for Best New Writer. 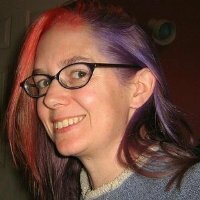 Mur lives in Durham, North Carolina, and her web page is here. 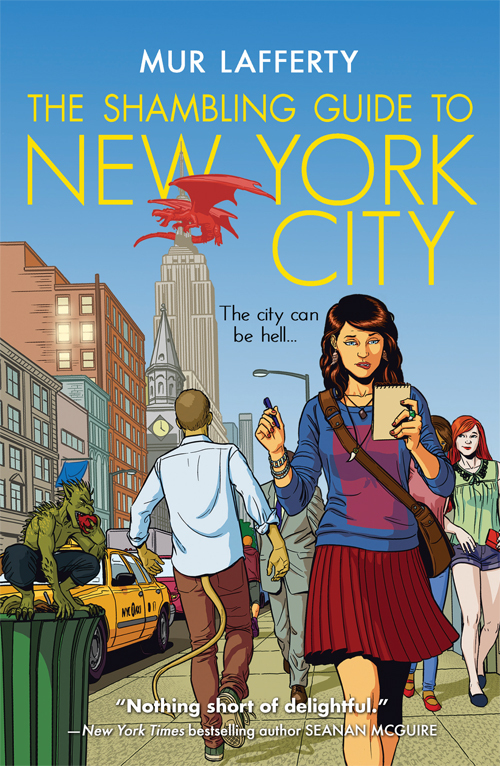 She is a podcaster and her first traditionally published book is THE SHAMBLING GUIDE TO NEW YORK CITY, published in May from Orbit. I was fortunate enough to share a reading with her at a recent convention, and enjoyed it tremendously! Mur, after hearing your reading, I didn’t think I could be further impressed by you, and then you went and won the John W. Campbell award for Best New Writer! Tell us about that! MUR LAFFERTY: It was an amazing experience. I was in my second and last year of eligibility and it was a tight field. Oddly enough, last year several people told me they thought I had a good chance (I came in 4th), while this year everyone looked doubtful and said it was a really strong field and they didn’t know who would take it. Which was good because I didn’t get my hopes up, and was really surprised when I won. VENTRELLA: Let’s discuss the podcasts. How did you first become involved in that? LAFFERTY: I heard about podcasting in 2004 soon after it was created and knew I wanted to be involved. It took a couple of months to decide what I wanted to talk about, but I launched my first geek-oriented show that December. I’ve done several different shows since, and still enjoying it a great deal. VENTRELLA: Many of your podcast stories are now available as kindle downloads – did you use a specific publisher for these? 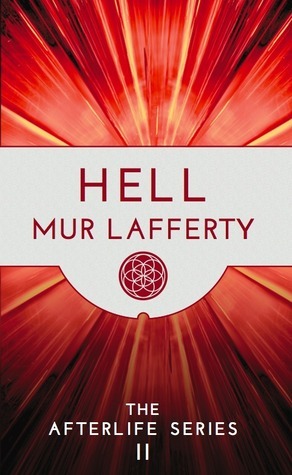 LAFFERTY: No, I hired freelancers for layout and editing and cover art, but I published them myself. VENTRELLA: Can we expect paperback editions soon? LAFFERTY: It’s unlikely. I like the concept of POD (I used to work at Lulu) but I’ve found the cost per book too high for reasonable sales. VENTRELLA: Do you advise other authors to podcast their work, or do you think this would only be worthwhile for a certain type of fiction? LAFFERTY: It’s hard to say. The podcast fiction market is pretty busy right now, and it’s so much work for not a lot of return. When I started doing it, there were far fewer authors doing it, so it was easier to stand out. I’m not sure I would do it these days if I didn’t already have some kind of blog/podcast following. VENTRELLA: You have also written about gaming (which is where I also got my start, in Dragon magazine all those years ago) … did you write about games or were you creating games (or modules) yourself? LAFFERTY: Both. I was writing for RPGs at White Wolf, but I also had a nonfiction column in Knights of the Dinner Table for several years. I discussed the geeky lifestyle, parenting as a gamer, and other topics important to me as a gamer, a writer, a mom, a geek, and a woman. VENTRELLA: How do you publicize yourself and get the word out? LAFFERTY: I’ve been active on Twitter and Facebook for years, and my podcast is another way to promote myself. I just try to stay active, talk about things that I enjoy, and help promote others. VENTRELLA: For the Shambling Guides, did you get an agent? If so, tell us about the process! LAFFERTY: My agent story is long and detailed and likely far too long. 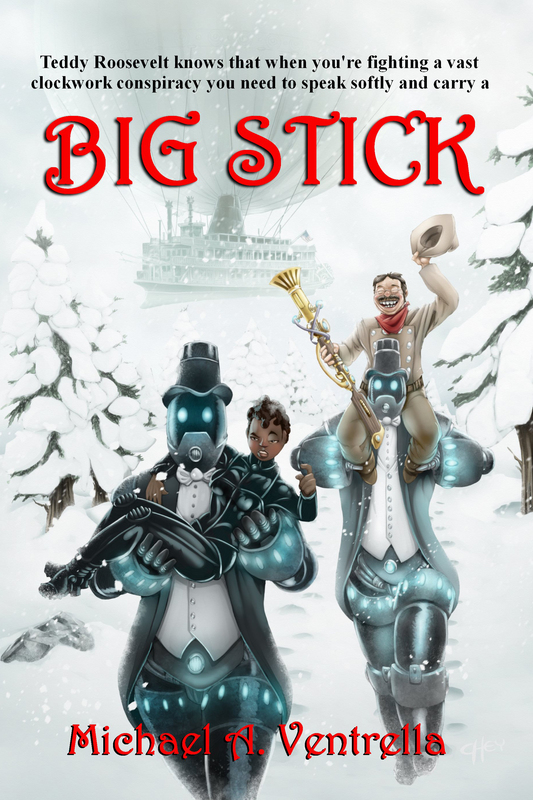 In short, my agent at the time was more interested in selling another one of my books, and in networking via conventions I got my book in the hands of the editors at Orbit. They sent me an offer and I sent it to my agent to negotiate it. I had had unproductive experiences with agents in the past, and this one was looking at successful Kickstarter campaigns and found the campaign I did for my novella series, The Afterlife Series, and contacted me. I was hesitant, but she convinced me. A year later she quit being an agent and I got picked up by my current agent at the same agency. None of my agent experiences are standard, or contain advice I could give others, I’m afraid. It’s been a strange road. The only advice I can give is a bad agent relationship (and I’m not even talking about crooks, just agents you don’t click with) is worse than no relationship at all. VENTRELLA: How do you research? Did you live in New York for a while? LAFFERTY: I wish! I love the city, visited a couple of times, and did a lot of research in books and online and with friends who live in the city. VENTRELLA: Your next Shambling Guide is for New Orleans – why did you pick that city? LAFFERTY: The series began in NOLA with a short story I’d written for a charity guide to benefit the Red Cross after Hurricane Katrina. By the time I wrote the New York book, the fictional world had changed a bit, and I’d always meant to go back and revisit the city that got me started. VENTRELLA: Where do you expect to go next? LAFFERTY: I’d love to go to Orlando, Vegas, San Francisco, or London. I’m not contracted for any more, though, so it’s up in the air. VENTRELLA: Do you find yourself creating the setting first, characters first, or plot first? How do you organize your work? Are you an outliner or a pantser? 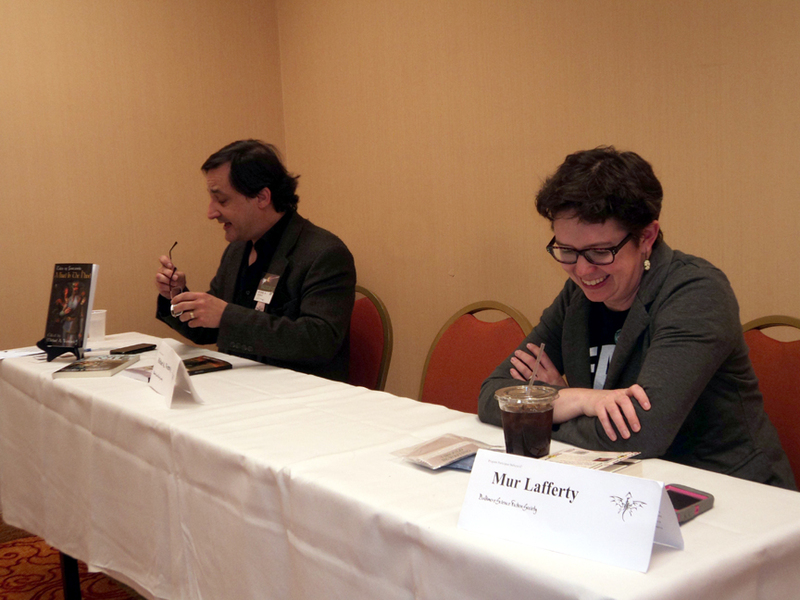 LAFFERTY: I get a plot first, and then put characters in it. Setting depends on the book I’m writing; if it’s a Shambling Guide, of course it’s a decision made early in the book, otherwise it could be later. I’m a pantser but wish I could outline. I’ve tried. Really. VENTRELLA: How have you handled collaboration? 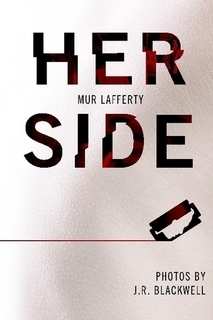 LAFFERTY: I’ve only collaborated on one thing, a self published novella + photography project called HER SIDE I did with my friend JR Blackwell, a very dark and bloody story about the birth of a serial killer. We brainstormed about it, usually her telling me a vague idea, me fine tuning it, then she took her photographs and sent her favorites to me and I chose the ones I wanted to include with the book. She’s a writer as well, so I listened when she had issue on the climax, and her comments made it a lot better. VENTRELLA: What advice do you have for beginning writers concerning getting published? Is self-publishing a reasonable way to begin? LAFFERTY: I have no idea these days! The self publishing world is getting very clogged with content and it’s hard to stand out. The people making millions are the exceptions, I’m afraid. I don’t look down on self publishing — I can’t, I do it myself — but I do worry that a lot of people are doing it because they are afraid of rejection in the publishing world. But they don’t realize that often the publishing world is a lot more professional with their rejections than, say, a bad Amazon review. I recommend attempting traditional publishing while self publishing, but always being confident in your work. Make sure you’re publishing good stuff. When it comes to self publishing, remember, you need to make it professional, a lot of people overlook the need for editing, the need for proper ebook layout, and the need for a good cover. They’re unwilling to spend the money, and put out non-professional books. Don’t do that. LAFFERTY: In 2005, Michael A. Stackpole had a writing podcast called “The Secrets”, a show from the POV of a veteran writer. I enjoyed it, but wondered if we could use a show that spoke to writers about the things that really slow us down at the beginning, namely the angst within that tells us over and over to quit. So I discuss how the writing career is full of rejections, and nothing will kill you (Salmon Rushdie is the exception), and persistence is key. I also explore my own anxieties mainly to let people know that they are not alone. It’s also a platform for me to interview established writers to promote them and have them give their own writing advice. LAFFERTY: Gosh, I don’t know. I am so critical of myself I often agree with criticisms. Publishers Weekly mentioned my weak romantic plot, and I’ve always felt romance is a weakness of mine, so I couldn’t really get mad about that. And I try to avoid online reviews for a variety of reasons — if I’m a grownup, I say that the reviews are for the reader, not for me, and if I’m a little less mature I just say, well, there’s nothing I can do about it if it’s negative, it’s not like I can edit the book to suit them (and likely can’t edit the next one either because it’s already turned in), and if I’m not mature at all I’ll admit I’m a fragile flower and don’t like reading things that make me sad. So criticisms are either a) from my editor and something to work on, b) things I agree with, or c) something I haven’t read because I don’t want to cry. 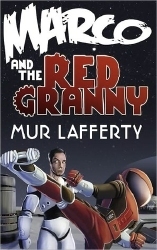 LAFFERTY: Growing up, it was Robin McKinley, Anne McCaffrey, and Madeline L’Engle. They wrote fantasy with prominent female characters and I was delighted to find books with a hero I could identify with. LAFFERTY: You will make mistakes, and there are very few mistakes that will kill your career. There will be stumbles and mistakes and bad decisions, but the only thing that will stop you from writing is yourself. Also, there will always be someone better than you. That’s OK. it should drive you to write more, not less.